New Poster and Stills From Runner Runner. 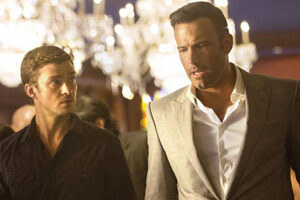 Ben Affleck, Justin Timberlake, Gemma Arterton and Anthony Mackie star in the gambling thriller. 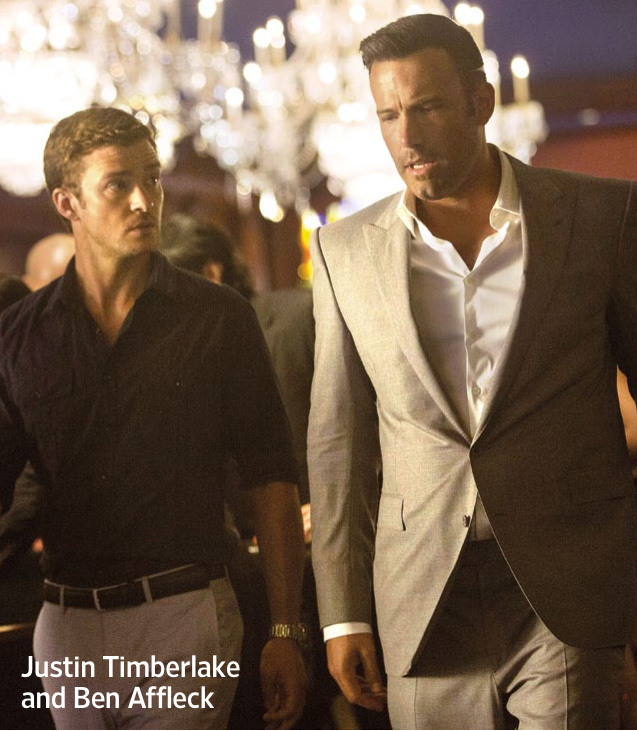 See the movie trailer, photos and movie poster for Runner Runner below. Princeton student Richie Furst (Timberlake) bets and loses his tuition money when he wagers everything on offshore online gambling. 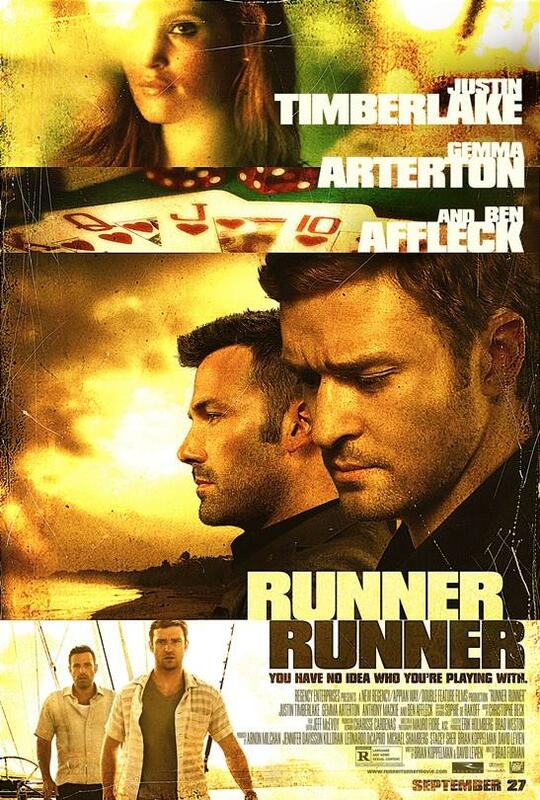 Suspecting that he’s been cheated, he takes a trip out of the country and begins working for online poker king Ivan Block (Ben Affleck), but discovers the risk may not be worth the reward. 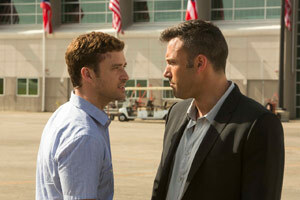 Richie Furst (Justin Timberlake), is a Princeton student who is cheated out of his tuition money by playing online poker. When he learns that the site is hosted from a remote island location, he goes to confront the site’s corrupt owner, Ivan Block (Ben Affleck), but is lured into becoming Ivan’s protégé and right-hand man. Their relationship starts to reach a boiling point all while an FBI agent (Anthony Mackie), tries to use Richie to bring Ivan down.